3. WeeCasa – Lyons, Colorado. 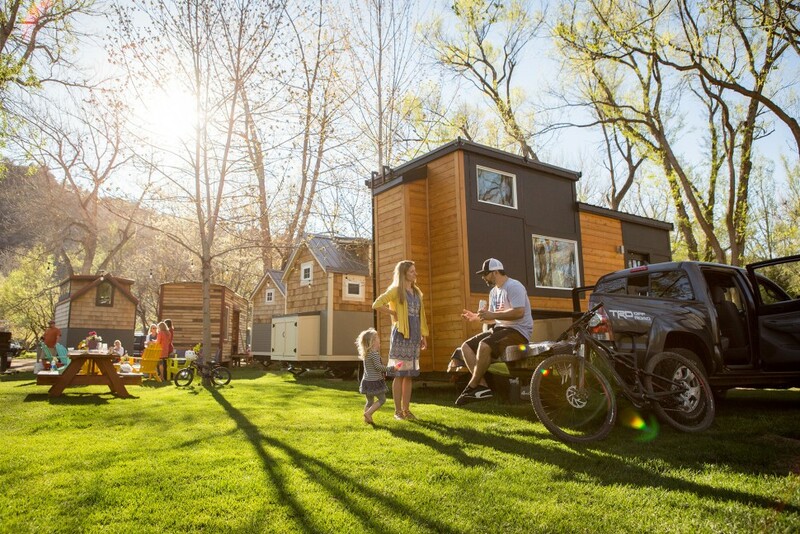 WeeCasa is a tiny home resort for people looking to experience the lifestyle for a short period and also enjoy the local area at the edge of the Rocky Mountains. While WeeCasa owns many of the tiny houses on the property, others are contracted to WeeCasa to be rented out to guests. The resort is particularly busy with wedding parties during the summer months, but it also serves to provide a glimpse into tiny living.